Gosh, Draugen looks a bit shiver-inducing. Red Thread Games’ first-person survival horror title was announced last year, but we’re only now getting a taste of it in the form of a teaser trailer revealed at Rezzed over the weekend. 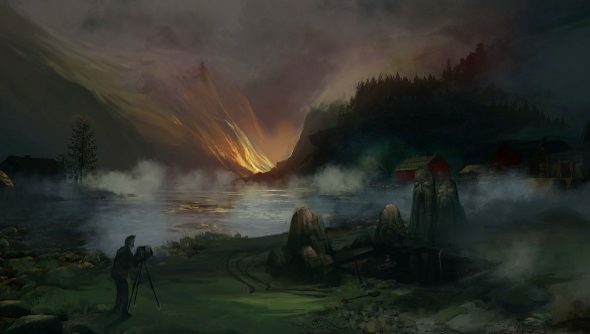 Studio founder Ragnar Tørnquist describes it as “Gone Home meets Amnesia,” and there’s more than a dash of Lovecraft, Dostoyevsky and Norwegian fairy tales. Take a gander below and then find a warm blanket and a well-lit room. Draugen is an exploration of one man’s descent into insanity during his investigation into the disappearance of a coastal town’s population in Norway in 1923. The unnatural, blinding moonlight bursting through the gloom and the unknowable horrors coming out of the sea reminds me a lot of the first area in The Secret World, which Ragnar Tørnquist was the game director for before leaving Funcom. It too was inspired by Lovecraft, greatly. Just the thunderous noise of the sea and wind is enough to send unpleasant shivers down my cowardly spine. Bloody horror games, making me want to play them and soil myself in equal measure.